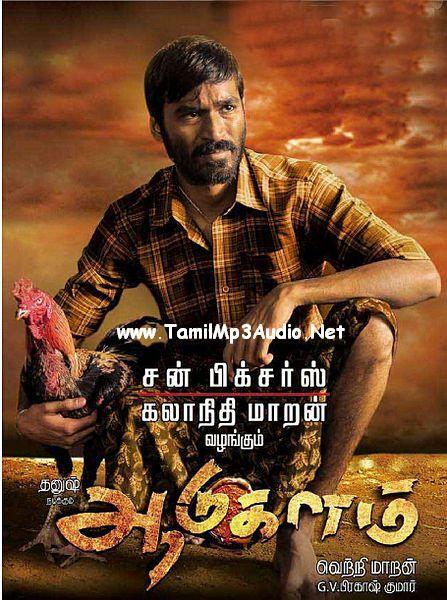 Watch Online Tamil Movie Aadukalam (2011) Starring Dhanush , Taapsee Pannu , Kishore , Naren and Jeyabalan . This Movie is Directed by Vetrimaran. Produced by Katheresan . Music To this movie is scored by G.V.Prakash KUmar .